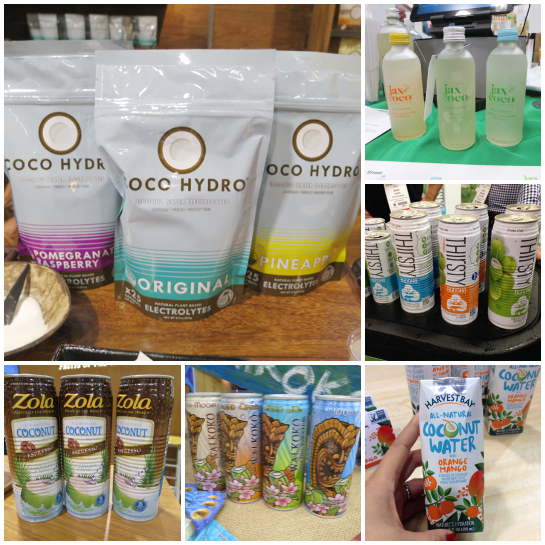 I spent two full days at #ExpoWest (Natural Products Expo), digging through its thousands of exhibitors and weaving around tens of thousands of attendees! The Natural Products Expo brings products from food and beverage to supplements and beauty to household and pet products together in one spot (Anaheim Convention Center).Â If you’re gluten-free, vegan, vegetarian, or just looking for healthy alternatives to big brand products, this was the place to be! 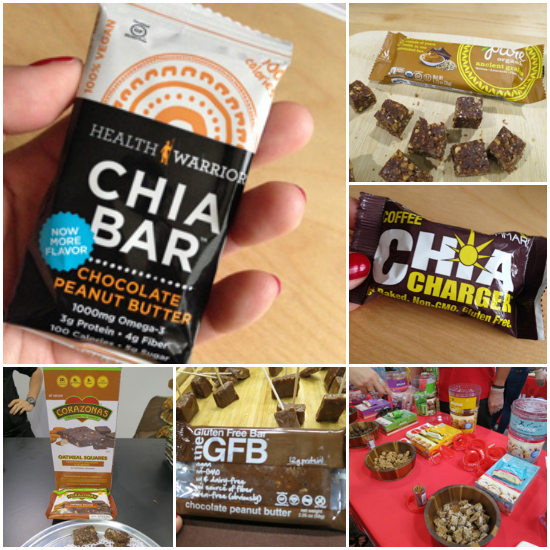 I met the Health Warrior team behind Chia Bar and was impressed with their product line. 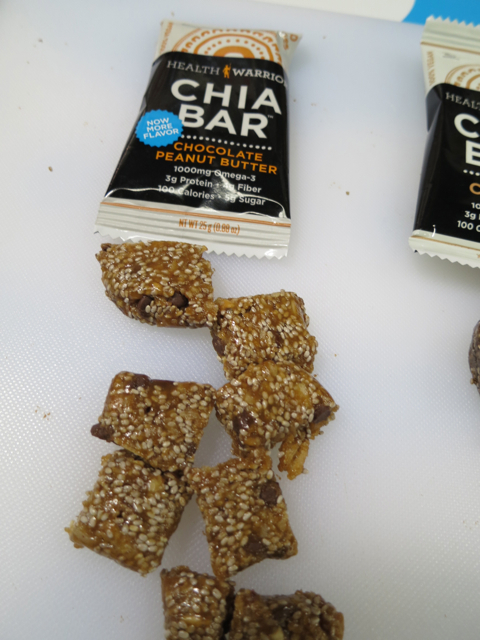 One tiny Chia Bar packs about 100-ish calories, sweetened with brown rice syrup (YES, it’s not stevia!! ), offers about 4g of protein, contains white chia seeds, and are gluten-free, dairy-free, and 100% vegan. When I meet with exhibitors, I always ask why they started their business. The team here started because they read “Born to Run” by Christopher McDougall. (This resonates as my brother gave me this book when I started training for half marathons!) I packed a few bars in my bag as an emergency snack – look, this preggo needs to eat all the freaking time – and one bar satiated me until my next “real meal” time. Don’t like caffeine? (What’s wrong with you?) No problem! 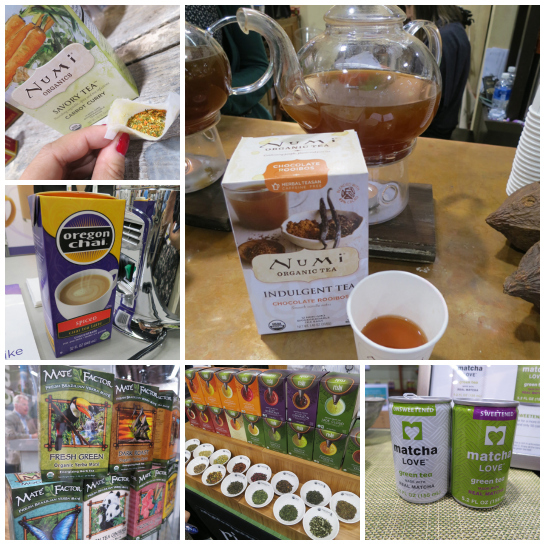 There were bigger and smaller brands showcasing their special teas – including chai, herbals, savory, yerba mate, greens, blacks, and so on. I chatted with the team atÂ Numi TeaÂ (home of my favorite ginger tea for stomach issues/morning sickness/colds), and they introduced me to two new lines. Numi Tea showed off their Indulgent Teas like Chocolate Rooibos andÂ Savory TeasÂ (launched last year) like Carrot Curry! Chocolate tea, y’all! You can use the savory teas as a base for cooking… cook it with quinoa, make it a soup, put it in salad! It’s a MacGyver product, and you know I love me some MacGyver products! 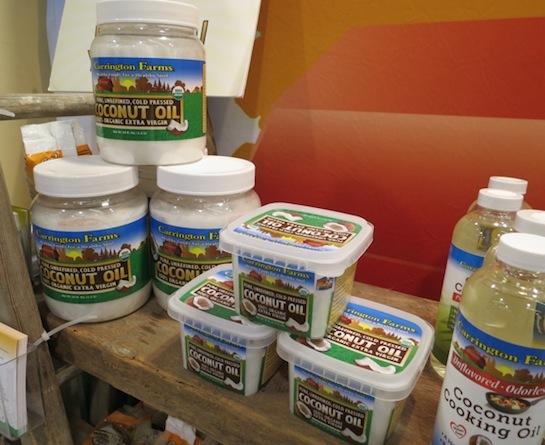 The people over at Carrington Farms have found a way to keep coconut oil liquid for cooking! As far as I know, they are the only company that has done this. You don’t have to scoop it out like Crisco if you don’t want to. Speaking of scooping it out, they DO have square cartons of solid coconut oil if you like a bigger opening. In addition to coconuts for cooking, I ran into more coconut water as well as “powdered” coconut water! I wasn’t a big Nuun person when I was a runner. It made my stomach turn – well, most everything made my stomach turn except water. Hydro Coco’s powdered mix might be the solution! Just add water and you’re good to go! This is great especially if you are traveling and TSA throws out your bottle of (expensive) coconut water. What do you think? 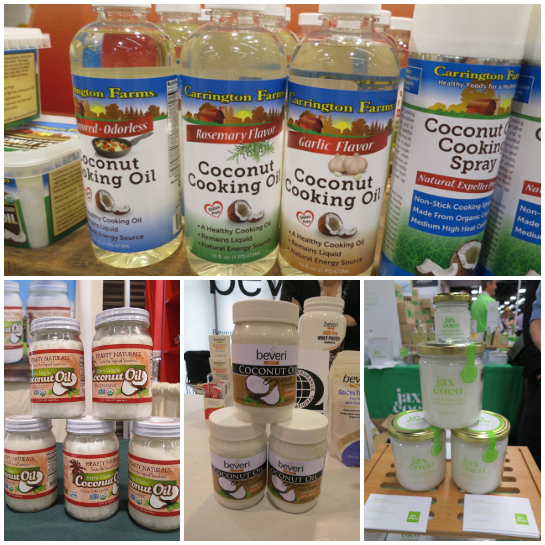 Were you at #ExpoWest? This is only Part 1 of my series. Trust me, there was millions of square footage to cover, and one itty bitty blog post isn’t going to do it. I’m interested in trying out some of those new Kind bars, I’m glad they have some savory flavors! 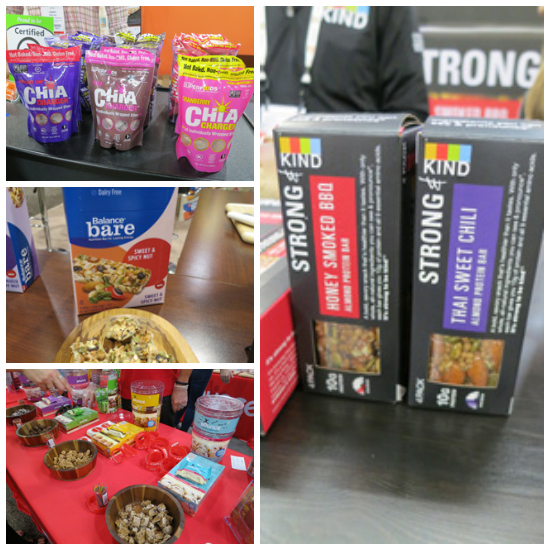 Those Chia Bars look really good! I like using chia seeds on my yogurt & often munch on energy bars after a hard workout. I’ll have to look for these & buy one! Look forward to reading your part 2 recap later on! Boy, I really need to attend this Expo next year. Ugh! I am so bummed – I clearly did not even see even a quarter of all the offerings at the Expo!!!! I just had a lemon chia bar I received in my swag bag today. I liked it. I use cocnut oil to cook with, for my hair, and to treat psoriasis. It worked well on me for both purposes.